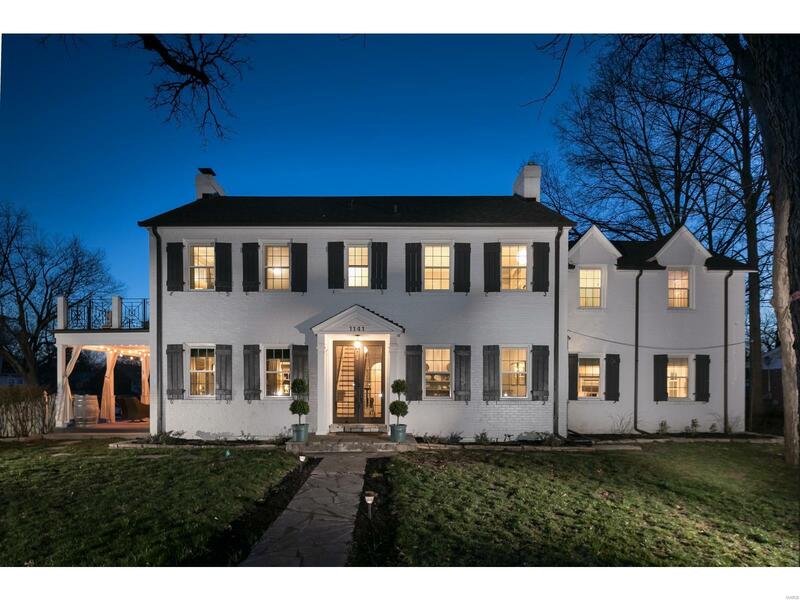 Stately colonial beauty brimming with all of the elegance and character historic Kirkwood was built upon, beautifully updated for today's lifestyle. Located in this beloved and well-established enclave where neighbors host seasonal get-togethers, holiday parties, and hayrides, youâre greeted with exceptional curb appeal and expansive outdoor living space with Â½ acre level lot, 2 roof top decks, covered side porch, patio w/ firepit, and rear entry attached 2 car garage w/ room for work space. Inside, you'll find the center hall entry contributes to the great flow of the home, perfect for entertaining w/ 2 main floor living areas, luxury kitchen w/ custom cabinetry, designer lighting, & front and rear staircases. Lg master w/ en-suite and 3 additional bedrooms upstairs, finished basement retreat downstairs. 3300 sqft+ of living space, newer systems, windows, roof, HVAC, flooring, gas fireplaces, gutters & more. Seller wishes they could take this gem with them!